Scrappy Trips was completely made on my treadle machine “Miss Florence Jane“. Everything from piecing the blocks, assembling the quilt top, piecing the quilt backing, the quilting itself, piecing the binding and attaching the binding – both front and back to the quilt was done on the treadle. The only thing I didn’t do on the treadle was stitch the label down. I did that by hand. I used Scrappy Trips, a Bonnie Hunter pattern for the blocks, and then set them as one big trip. The quilt tops was started April 4, 2013 and I finished the top January 11, 2014. I started the quilting on January 10, 2015 and put the last stitch in the label on January 15, 2015. 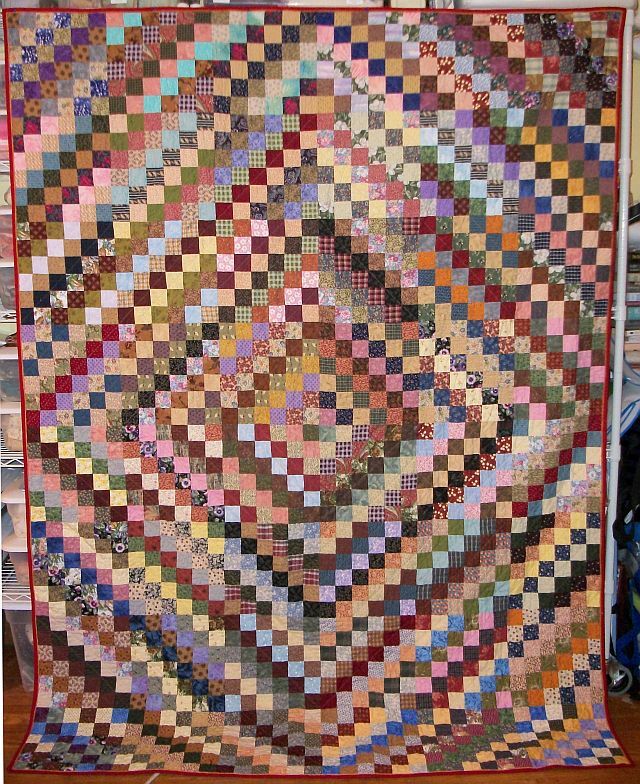 The washed quilt measures 68″ x 90″. I used Hobb’s Heirloom Natural Cotton Batting. I used a khaki colored thread on the top and a white thread in the bobbin. The binding is red with a gold flange. I used Susie’s Magic Binding. 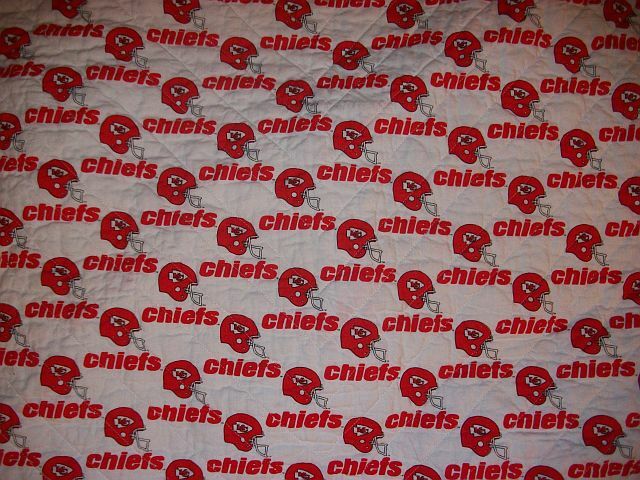 The backing was pieced from two 60″ wide lengths of this Kansas City Chiefs fabric which came from Mom.